Nothing makes an otherwise great custom-built car or motorcycle look shabbier than poorly or improperly mounted components, a rat's nest of wiring, or ill-conceived fabricated parts. In Practical Fabrication and Assembly Techniques, car and motorcycle builder and author Wayne Scraba guides you through some of the most common projects that confront every customizer. Whether it's mounting a line-lock or plumbing a fuel system, Scraba has the practical advice you need to really make your project shine. In addition to guidance on mounting mechanical components, he also dispenses advice on such things as plumbing fluid connections and properly wiring electrical components. Topics such as braided line fabrication, wire-gauge selection, and choosing the right material for mounting various components are all covered. Proper component fabrication is an essential part of every custom car, hot rod, motorcycle, and racing project. Learn the right way to do the job with Practical Fabrication and Assembly Techniques. Wayne Scraba has toiled as a magazine editor, a technical editor, and a freelance magazine contributor, and has authored five automotive books. His work has appeared in well over 60 different high-performance automotive, motorcycle, and aviation magazines worldwide. 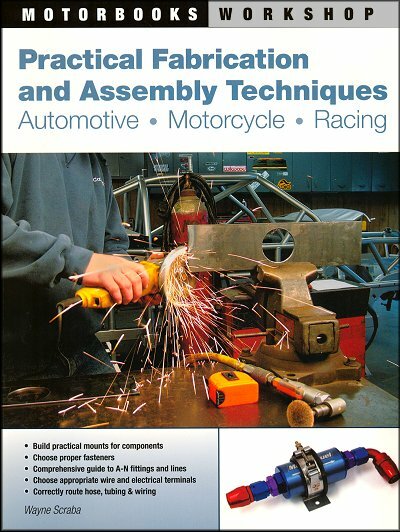 Ask a question about Practical Fabrication and Assembly Techniques: Automotive, Motorcycle, Racing.